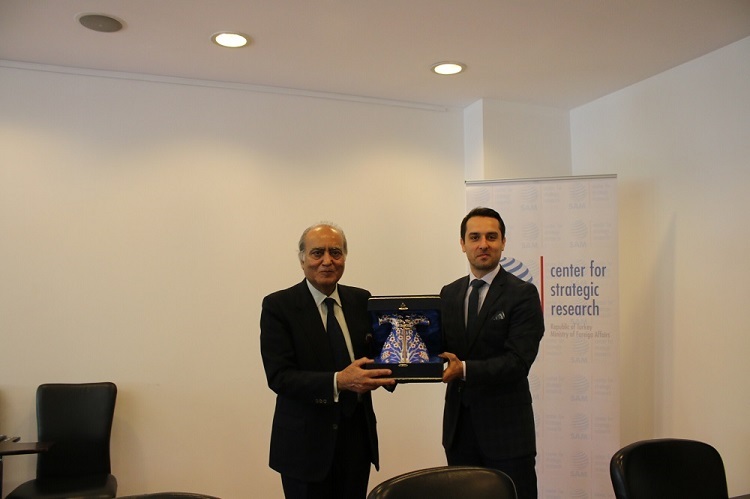 Center for Strategic Research together with Institute of Strategic Studies Islamabad (ISSI) organized a round table meeting in Ankara, on 16th April 2018. 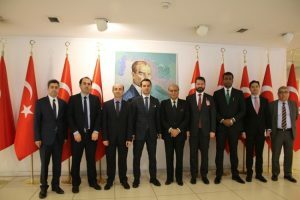 This was the latest of the subsequent dialogues initiated with the Memorandum signed in 2003 in Ankara. 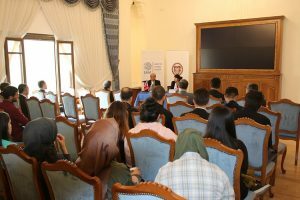 The preceding ISSI-SAM dialogue had been held last year in İslamabad. 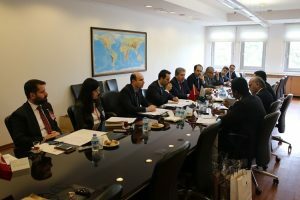 During the fruitful meeting, Turkey-Pakistan bilateral relations, latest regional developments especially in the Middle East and Asia were discussed by ISSI delegates, academics and MFA officials. 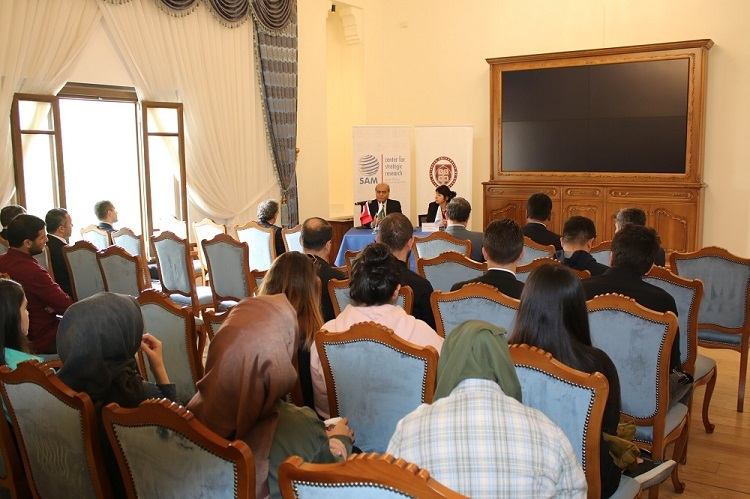 ISSI Chairman Khalid Mahmood addressed to a group of academics and students at a seminar entitled “70 years of Pakistan-Turkey Relations” at Social Sciences University of Ankara. 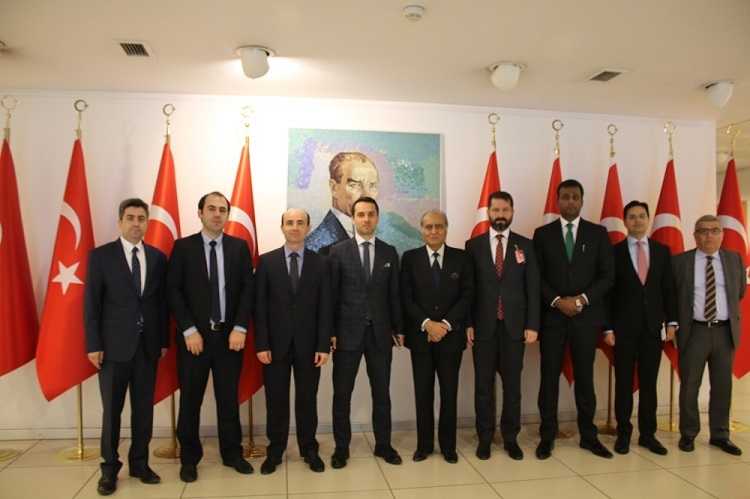 The delegation also visited Foundation for Political, Economic and Social Research (SETA) in Istanbul on 18th April 2018. This meeting revolved around CPEC and its impact on the progress of Pakistan.